The Archer and the Berserker. 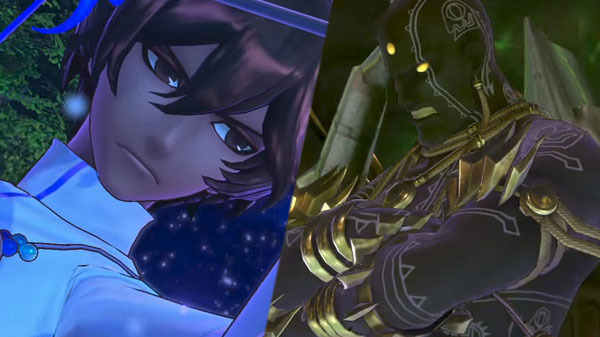 The latest character-focused short gameplay videos of Fate/Extella Link feature playable Servants Arjuna and Darius III. Previous gameplay videos showcased Francis Drake and Robin Hood, Astolfo, Scathach, Charlemagne, Karna, Iskandar, Archimedes, Altera, Medusa, Artoria Pendragon, Lu Bu Fengxian, Cu Chulainn, Jeanne d’Arc, Gilgamesh, Gawain, Tamamo no Mae, Elizabeth Bathory, Li Shuwen, Nero Claudius, and Nameless. Fate/Extella Link is due out for PlayStation 4 and PS Vita in Japan on June 7, and in North America and Europe this fall.